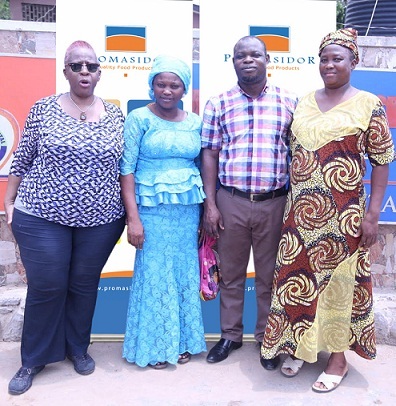 From Left: Olubukunola Ojo; Opeoluwa Akinola; both members of Dayonmi Love Foundation; Delphine Misan-Arenyeka, Project Director and Dr. Olayinka Akindayomi, Service Director, both of the Children’s Developmental Centre (CDC), during the meeting with the team of Promasidor Nigeria Limited, CDC and the Foundation, a cooperative group of parents of children with disabilities on the We Too Can Grow scheme in Abeokuta, Ogun State recently. 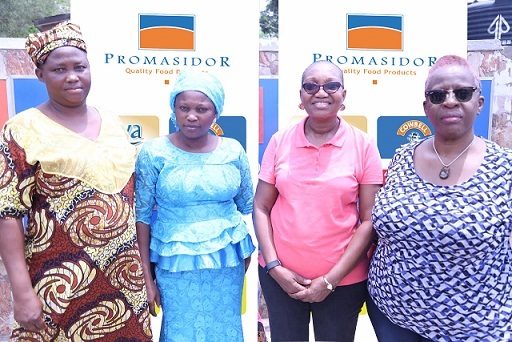 From Left: Opeoluwa Akinola; member of Dayonmi Love Foundation; Isiaka Lawal, Coordinator Corporate Communications, Promasidor Nigeria Limited; Ebele Oputa, Head of Operations, Children’s Developmental Centre (CDC) and Olubukunola Ojo, member of Dayonmi Love Foundation; during the meeting with the team of Promasidor Nigeria Limited, CDC and the Foundation, a cooperative group of parents of children with disabilities on the We Too Can Grow scheme in Abeokuta, Ogun State recently. 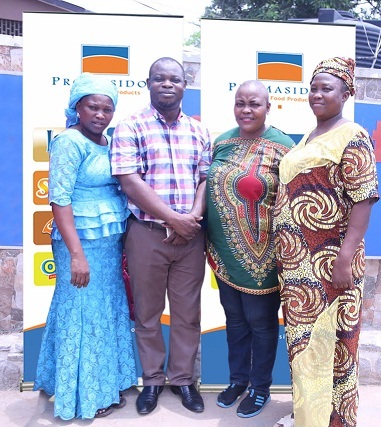 From Left: Dr. Olayinka Akindayomi, Service Director, Children’s Developmental Centre (CDC), Opeoluwa Akinola; member of Dayonmi Love Foundation; Isiaka Lawal, Coordinator Corporate Communications, Promasidor Nigeria Limited; and Olubukunola Ojo, member of Dayonmi Love Foundation; during the meeting with the team of Promasidor Nigeria Limited, CDC and the Foundation, a cooperative group of parents of children with disabilities on the We Too Can Grow scheme in Abeokuta, Ogun State recently.